CTEI holds a 50% equity interest in ECI Metro Investment Co., Ltd. ("ECI Metro"). ECI Metro is one of the only four Caterpillar dealers in the PRC and the sales distributor for Caterpillar Products in the western part of the PRC (excluding the Xinjiang Uyghur Autonomous Region) which encompasses six provinces, two autonomous regions and one municipality. 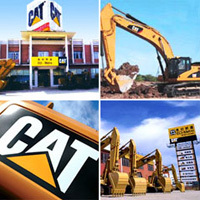 Our outlets offer a wide range of Caterpillar products, including excavators, power generators, bulldozers and compactors, as well as spare parts. CTEI holds a 28% equity interest in Zhanjiang Deni. Zhanjiang Deni is one of the leading manufacturers of carburetors in China and has accumulated over 20 years of experience in the manufacture and sale of motorcycle carburetors. It also produces a wide variety of automotive parts, which are mainly sold to motorcycle manufacturers in China.